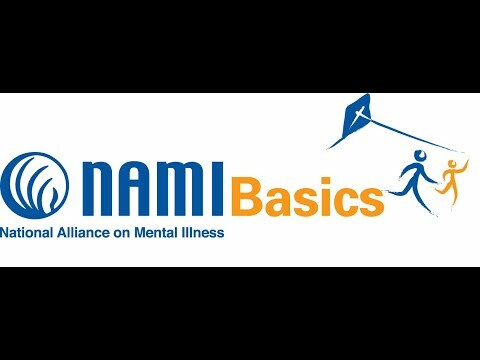 NAMI Basics is a free, 6-week class for parents and other family caregivers of children and teens who are showing signs of emotional and/or behavioral difficulties, or who have a mental health diagnosis. Is your child anxious? Is your teenager skipping classes at school? Excessive anger, fighting, cutting, substance abuse, social isolating, issues around eating…? These are often symptoms of a mental health condition. If your child is showing any of these behaviors, NAMI Basics can help you help your child. Whether your child is dealing with behavioral issues, undiagnosed emotional issues, attention deficit hyperactivity disorder (ADHD), or other diagnoses such as major depression, anxiety disorders, bipolar disorder (also called “manic depressive disorder”), oppositional defiant disorder (ODD), conduct disorder (CD), substance use disorders, or more, NAMI Basics can help. You’ll learn facts about mental health diagnoses, and how best to support your child at home, at school, and when they’re getting medical care. The course is taught by a trained team with lived experience—they know what you’re going through because they’ve been there. The 6-session program teaches strategies for taking care of your child, and learning the ropes of recovery. This course is also available in Spanish, Bases y Fundamentos de NAMI. How to manage crises, solve problems, and communicate effectively. How to take care of yourself and handle stress. How to develop the confidence and stamina to support your child with compassion. How to advocate for your child’s rights – at school, and when they’re getting medical care. How to help your child deal with the impact of behavioral and emotional difficulties, as well as help other family members. How the biology of the brain impacts mental illness. Current treatments, including therapies, medications, and side effects. An overview of the systems you’ll need to navigate to help your child – school, health care, and maybe juvenile justice. Classes are offered during the week – mornings, afternoons, and evenings – and on Saturdays. To learn more about – and to register for – the next NAMI Basics course, please contact Karen at 212-684-3365 ext. 203 or email. You’ll find out you’re not alone. You’ll learn that recovery is a journey, and that there is hope. The NAMI Basics group setting provides mutual support and shared positive impact. Experience compassion and encouragement from people who understand your situation—and help others with your own experience. “Basics is…well, it’s a life-changer.” A parent who took Basics said this. Watch this video and hear more, from real people, about what a difference Basics made in their family. Does your child have mental health issues? Learn about the normative stages of our emotional reactions to the trauma of mental illness; our belief system and principles; recognizing that mental illnesses are biological brain disorders. An overview of human development; specifics of brain development; current research on brain mechanisms involved in mental illness in children and adolescents; overview of the diagnostic process; and overview of the types and subtypes of major mental illnesses that can develop in childhood and adolescence (ADHD, ODD, CD, Major Depression, Bipolar Disorder, Anxiety Disorders, Schizophrenia, OCD, and Substance Use Disorders). Tell your story; overview of treatment options available; explanation of evidence-based practice designations; review of various types of mental health professionals in the field; overview of medication as a treatment option for children and adolescents, including the current debate within the field on the subject of treating children and adolescents with medications, including black box warnings. How to build an advocacy team for your child; meet people who are resources for you in advocating for your child; join NAMI in the fight to end discrimination and ensure access to appropriate treatment services; a graduation party! Please contact Karen at 212-684-3365 ext. 203 or email.